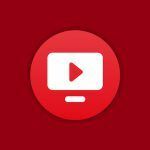 The arrival of Jio was the biggest disruption that the Indian cellular network industry has ever seen. The company was single-handedly responsible for changing the mobile internet space in India thanks to dirt cheap tariffs and never-before-seen daily data offers. Jio’s ultra-cheap data plans and free calls forced its competitors to slash the prices of their data plans as well. Competition resulted in the folding of several companies like the Anil Ambani owned Rcom, and Maxis Communications owned Aircel. Others like Vodafone and Idea had to join hands to face off the onslaught from Jio. India’s largest telecom player (before Vodafone-Idea), Airtel too lost several million subscribers after Jio arrived on the scene. The biggest beneficiary of these massive changes was the Indian consumer who was earlier used to consuming 1GB of data per month. The same set of users started consuming more than 1GB of data per day. India, in a short span of time, has become one of the world’s largest consumer of mobile data. While things look rosy as far as mobile data consumption is concerned, the same cannot be said for the state of broadband connectivity in the country. Broadband connectivity tends to remain poor in small towns and villages across the country. Cities are better off in this regard. This is exactly what Jio plans to fix with its broadband service Jio GigaFiber. 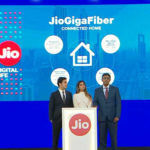 However, unlike the deployment of Jio’s mobile services network, it seems Reliance is taking a lot of time to formally launch Jio GigaFiber services across the country – especially in smaller towns. Several months after Jio asked its existing and new subscribers to express interest for Jio GigaFiber, the formal deployment and launch of the service seems nowhere close to completion. In fact, if we are to believe fresh reports, the official launch of Jio GigaFiber could be delayed even further. 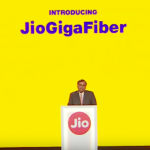 Reliance Jio GigaFiber Launch Delayed: What are the reasons? As per recent reports, the major issue that Reliance GigaFiber seems to be facing is the deployment of last mile connectivity in small towns and villages of the country. As per Jio’s own plans, they plan to go live with 1100 towns in the first phase of the deployment of Jio GigaFiber. The plan earlier was to formally launch Jio GigaFiber by March 2019. That, however, does not look possible as per the aforementioned report. The company seems to have run into small problems to offer last mile connectivity to these small towns which has in effect caused the delay in the formal launch. 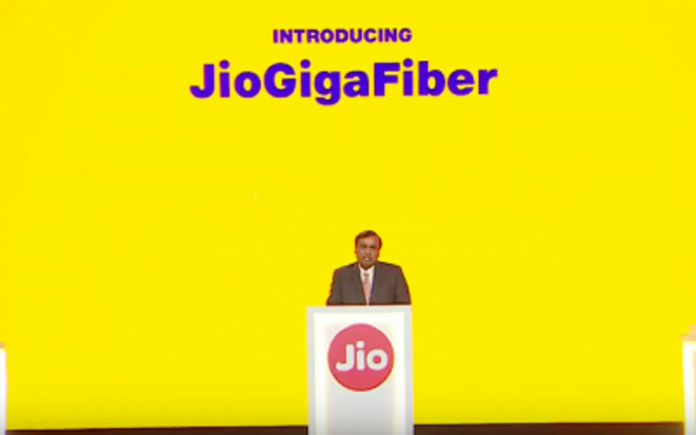 As opposed to this, Jio has been offering Jio GigaFiber services in several cities across the country as part of an initial offer for more than a year. According to Jio, Reliance Jio is currently in the phase where it is doing what is termed as an ‘Area Ready for Sale” rollout for their services. In this phase, Jio executives will reach out to apartments and residents of areas where services are ready to be deployed. This phase is expected to last a few months which has effectively caused a delay in the formal rollout of Jio GigaFiber across the nation. In short, if you happen to be living in a relatively smaller town in India, your wait for the launch of Reliance GigaFiber just got slightly longer.